Ten to fifteen years ago, if I wanted to find a dentist close to my home, I would have picked up the phone book, flipped to “dentists” and tried to discern why one phone number would be any better than any other phone number and usually ended up closing my eyes and pointing. The fact is that phone books were useful for finding a list of services, but gave you no context for the quality of those services. So you were stuck with whoever’s number you happened to point to. Today, we have Google. Google local search is the best way to find local businesses, and it is the avenue that most people use when they want to find a dentist, barber, HVAC company or anybody else. So it behooves any local business to ignore Google place pages as a fantastic tool for bringing in new customers. Basically, if you are not on Google, you don’t exist. And it’s hard to make money when you don’t exist. One of the best aspects of Google’s local search products is the ability it gives users to write reviews of local businesses and share their reviews with other potential customers. This type of context helps users make decisions about where to go to get new tires or where to get the best manicure in town. And reviews are much more helpful than the old method of closing your eyes and pointing at a name on a page. The catch for businesses is that reviews can go two ways. They can drive hordes of new customers to your location or they can make it seem like you have the plague. So, in an attempt to tip the scale of the Google local search gods in their favor, some businesses have gotten the idea that they should create bogus Google accounts and write their own reviews. The practice of writing your own Google reviews is both unethical and counterproductive. Not only does it turn you into a slimeball but Google will catch on, and you’ll spend many more hours and dollars trying to fix your mistakes than you would have if you would have just played fair in the first place. There are a number of reasons you don’t want to try and game the system by writing your own positive reviews. 1. Penalties — Google is not stupid. In fact, they don’t like people who think they are stupid, and they will penalize an offending site, either through downgrading its page rank or—in serious cases—removing it from their index completely. Google tracks IP addresses, usernames, emails, and more of people who use their system. If business owners are attempting to create multiple accounts and write positive reviews for themselves, Google will find out eventually and the business will be penalized. 2. Tarnished Reputation — All it takes is one customer or one disgruntled (or morally upright) employee to bring down the house of cards. Not only can they inform Google about self-reviewing violations but they can write a review themselves that lets the world know about a business’s lying and deceitful ways. And a review like that can tarnish a business’s reputation for a long time. If you are an honest business owner and want to avoid Google penalties and a tarnished reputation, here are few things to avoid when going about a review-soliciting campaign from customers. If you can avoid it, don’t have someone with the same last name post a review of your business. Most users will put 2+2 together and discount the review or think you’re up to something fishy. 2. Spread your reviews out over time. 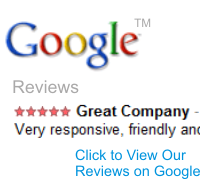 Google likes it when businesses get reviewed on a regular basis. If they see a huge push of 20 reviews in one night, they might get a bit suspicious. All in all, writing your own Google reviews is a questionable practice at best, and you should avoid it at all costs. Not only will it hurt your Google rank, but it could tarnish your reputation and your business permanently.